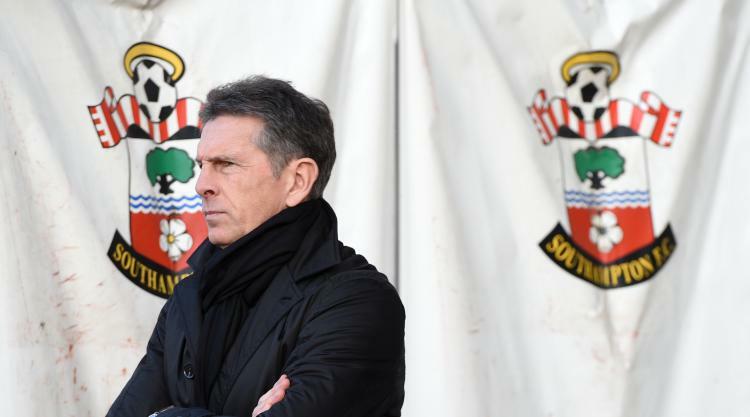 Mauricio Pellegrino has insisted Southampton will remain "professional" on welcoming former boss Claude Puel back to St Mary's with Leicester. New Saints manager Pellegrino admitted he is unsure how the home fans will respond to Frenchman Puel's return when he pitches up with the Foxes for Wednesday's Premier League clash. But Pellegrino has claimed Southampton will maintain a businesslike approach with the ex-Saints manager, who guided the south coast club to an eighth-place finish in the Premier League and the league cup final last term. "In football, everybody has different opinions," said Pellegrino, when asked if he hoped Puel would receive a warm reception from Southampton's fans. "Some people can be more happy with some managers, some players; people like different styles of football. "When you don't win, you're in trouble. And when you lose, people don't want to hear excuses. "When you win, you've got to go and win again. "Let me know which manager is admired by the fans when you lose. Not even the most important manager in the world. "This is part of life, our job. Everyone knows this. And we have to be really professional." Olivier Giroud's late goal denied Saints a win against Arsenal on Sunday, with Pellegrino's side forced to settle for a 1-1 draw. Now the former Liverpool coach has called on his side to beware Leicester's counter-attacking ability in order to get back to winning ways in the league. "It will be crucial to try to keep the ball, as much as possible, and to try to be really balanced when we're close to them with the ball," said Pellegrino. "They've got some habits, some before, because they have the quality to attack as quick as possible. "But they have pace, quality between the lines, they defend well as a block. It will be difficult, a tough game."